Curtains are the traditional, classic window covering. here is an extensive range of colours, fabrics and styles to choose from, so making it possible to furnish a window in a unique way, matching exactly the desired theme, mood and style that is sought in the room. A wide range of fittings and accessories is available. Pelmets can be made up in like or complimentary fabrics and styles. 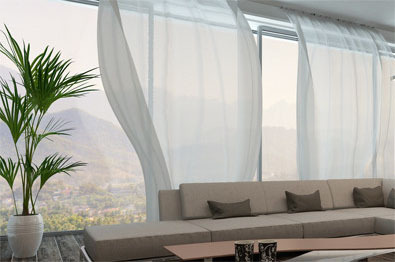 Instead of a cover-up, a fabulous curtain can turn out to be the main highlight of any home interior. Handsomely tailored and in perfect harmony with the interior design, it can easily set an idyllic atmosphere in the room. With the right contrast between the curtains and the other aspects of the home, you would have the perfect backdrop for the perfect landscape right inside the walls of your home. In order to achieve that exquisitely draped interior, you will need to be familiar with the primary sources of the most beautifully designed curtains. In Melbourne, Victoria, there is but one prominent name when it comes to the creation of eye-catching custom made curtains. PJ Curtains is a curtain manufacturing service that has stayed strong for a total of 18 years now. We have managed to stay on for so long by utilizing our years of experience and applying what we have learned from the trends and specific inclinations of each client that we encounter. Subsequently, we are able to keep our designs fresh for the eyes of our customers. More importantly, we intend to be versatile in our creations since we are aware of the varying tastes of our clients. Take a look at our large range of fabric samples on display and you will surely find a piece that would go with the design of your interior. You may even find the best curtains Melbourne has. Of course, we know how accidents can happen and your curtains can never be entirely safe, especially when there are children or pets in your household. However, you cannot just let a perfectly tailored curtain go to waste when you know that there is still hope. We want to secure you of that hope as we are one of the few, if not the only, family business with services of curtain repairs Melbourne has. 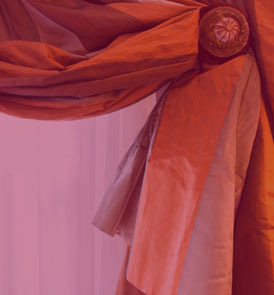 We want to let you have the chance restore ruined curtains that are of great value for you. Moreover, it would certainly be more costly to invest in new curtains. Feel free to contact us if our designs have riveted your attention. We will gladly oblige to answer your inquiries. Plus, we even offer free measure and quote for all curtains and blinds in Melbourne. That way, you can determine if our custom made curtains and services are to your liking. This is something we can guarantee since our goods are made on-site with high-quality and stylish design as inspirations.